Periodicals Index Online (formerly, Periodicals Contents Index), is a large, multidisciplinary index to the arts, humanities, and the social sciences. 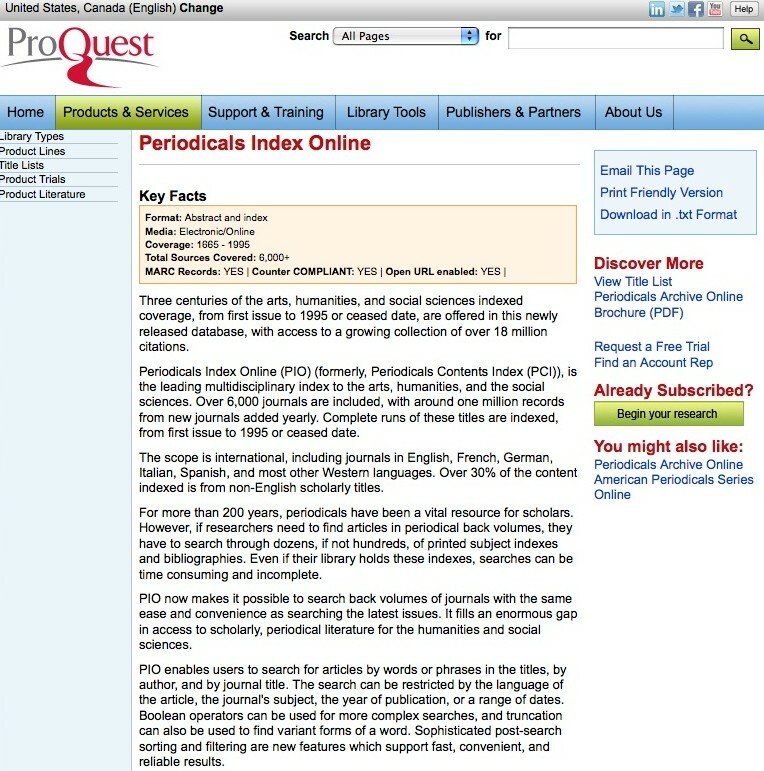 The site covers over 6,000 journals from first issue to 1995 or ceased date, while over 30% of the content is related to non-English scholarly titles. Providing abstracts and indexing in electronic format as well as on CD-ROM, the site is managed by Chadwyck-Healey Group, which publishes scholarly reference and full-text materials, acquired in 1999 by ProQuest Information and Learning. By allowing for detailed searching options in several journals and databases, this site requires some kind of subscription, although a few paid services for individuals are also being introduced. Little content is offered free of charge. In-depth search and content downloading is reserved for paying subscribers only.